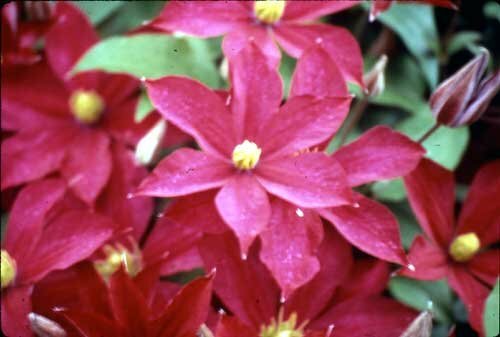 Madame Edouard Andre Clematis: red flowers plant big enough to cover a lot of ground! a sure sign she'll stick around as long as you want! "daughter" of the famous 'Jackmanii' clematis. They would make a great combo in your garden!